Family road trip to Washington, D.C.
Our first attempt to witness the cherry blossom trees was a fail. My family and I seized the opportunity to go on a road trip to Washington, D.C. during the kids' spring break in 2013. That was actually almost two years after moving to the US northeast, so this trip was, in a way, long overdue. The National Cherry Blossom Festival 2013 was scheduled on March 20th through April 14th, and the National Park Service predicted that the trees will have their "peak blossom" on the festival's second week. I had hoped that, because our scheduled family trip was the weekend before the predicted peak, we would still get to experience Washington, D.C. a little bit pink-ed out. I was wrong. On the contrary, D.C. was chilly and gloomy during our entire vacation, and the buds were yet to bloom. As a matter of fact, D.C. didn't have as many visitors as I expected for that time of year. Could my children's school district have scheduled their spring break a little earlier or later than most? 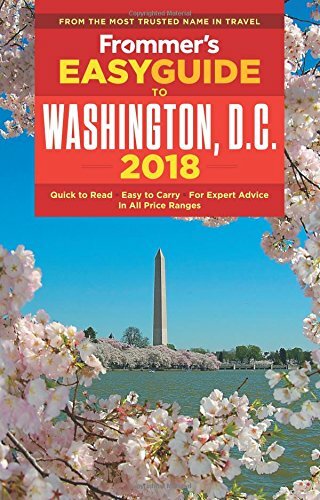 Since this failed family trip, I started telling people who wish to see the cherry blossoms in Washington, D.C. to follow the official National Cherry Blossom Festival on Twitter. They share updates on when the trees are about to bloom and peak, festival program lineup and so on. You can also check out the Bloom Watch on the official National Cherry Blossom Festival website. Admittedly, I didn't do these when planning our first visit. Fortunately, the family road trip to Washington, D.C. was not in vain. After all, it was our first time in D.C., and it certainly is not lacking of attractions to fill a family vacation itinerary. It is the capital of the United States, is it not? There's the White House, the Lincoln Memorial, the Capitol, the gorgeous then-post office building (now a Trump hotel), the Smithsonian museums and so many more. We covered as many significant points of interest as our children's feet could endure, which warrants a separate blog post. They are such troopers - we have taken them everywhere, so they're used to a lot of walking - so, we got to see quite a lot. My family and I had better luck with cherry blossoms sighting during the spring break of the following year. Our trip coincided with the National Cherry Blossom Festival 2014's program of activities and we got, well, all-festive. There was the annual parade, which we missed because we had woken up late and had to make some strategic planning on our commute. We spent the night at our friends' house in Bryans Road, Maryland, which is less than an hour from Washington, D.C.. We knew that looking for parking in the capital by the time we get there would be a futile mission. So, we decided to park at the King Street train station in Old Town in Alexandria, Virginia and take the rail into D.C. I highly recommend taking the train if you're heading over there for an event. Parking is more scarce - AND EXPENSIVE - in the D.C.! I saw pictures of the parade that year and it was lovely. I actually wish my family and I had seen it. However, missing it wasn't such a buzz kill. The National Cherry Blossom Festival offered plenty of things to do for families: paddleboat rides in the Tidal Basin, family-friendly ranger games, live music and so much more! Be sure to check out this year's festival shenanigans to help you plan your Washington, D.C. trip accordingly. My daughter was only nine during this visit. Typically shy, I was surprised that she joined the ranger games, even if her big brother didn't. She enjoyed the scavenger hunt and participated in some art activities on her own. That made me very happy. Though, me being close by documenting her immersion to every activity with countless photos and videos probably added to her being at ease. The best thing about this day, of course, was that it was happening with the beautiful cherry blossoms as a 360-degree backdrop. Japan’s gift to the country, the sakura trees, in all their blooming glory! They are just the prettiest symbol of friendship between two nations. Aren’t they just lovely? See photos of our day surrounded with cherry blossom trees on Facebook!